I love the promise a whole new year holds and believe in taking advantage of this symbolic new beginning to create a style mood board for the coming year. Why? Two reasons. Firstly, I love the freedom to identify precisely what I want to express, mulling over what personality strengths I want to show up the world in the coming year. With all the clarity and focus that comes from the editing and pairing down process. Secondly, a New Years odder a defined framework. And we all know that moving from dreams to goals to reality requires a clear time framework. So what better time than right now to start! With a total of ten spaces to fill in two postcards, I surprise myself with the difference between what I think I want…and what I actually end up choosing. 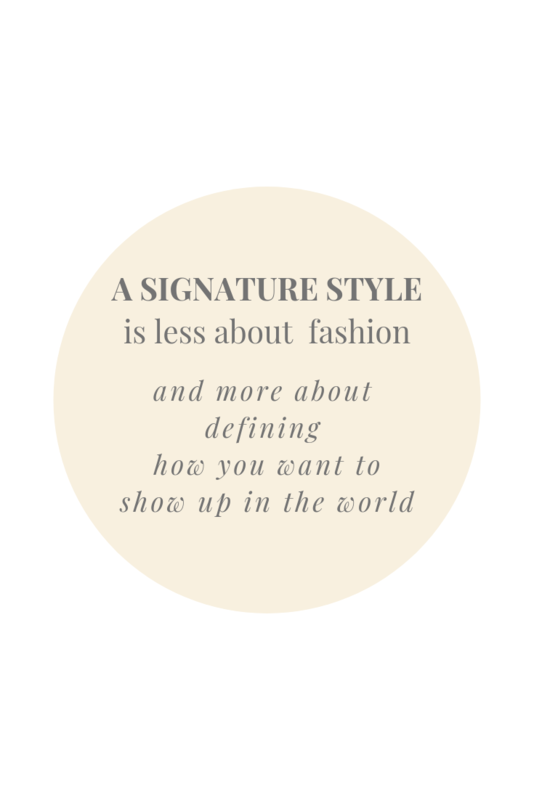 For clients, this discovery process is at the heart of a signature style. Because it get you think about what you really want professionally. What you want to express more of and what is no longer so important. As we talk and walk through their style vision board, an awareness develops. The dots connect and it becomes clear what is essential in their communication for the coming year and why. I was having coffee with a friend yesterday at the Garage in Duncan, here on Vancouver Island. Across from me was a young women tucking into the most amazing salad. I asked her about it and we got in conversation. She just loves dressing up she said, but is so difficult she lamented, because Duncan is so casual. Dressing up feeds her soul, gives her confidence and expresses an essential part of who she is. Then, I encouraged, she has to dress to express, regardless of how the people around her dress. It is conversations like these that impress upon me the importance of understanding our personality strengths ( check out yours at www.viacharacter.org) Why? So you aren’t disappointed that others don’t dress up. So you realise that appreciation of beauty and excellence is your strength and you must express it. That the women sitting across from may have bravery or justice as her top personality strength. And you are free to let others dress as they please. It takes time and self-awareness to discover what you want to express. 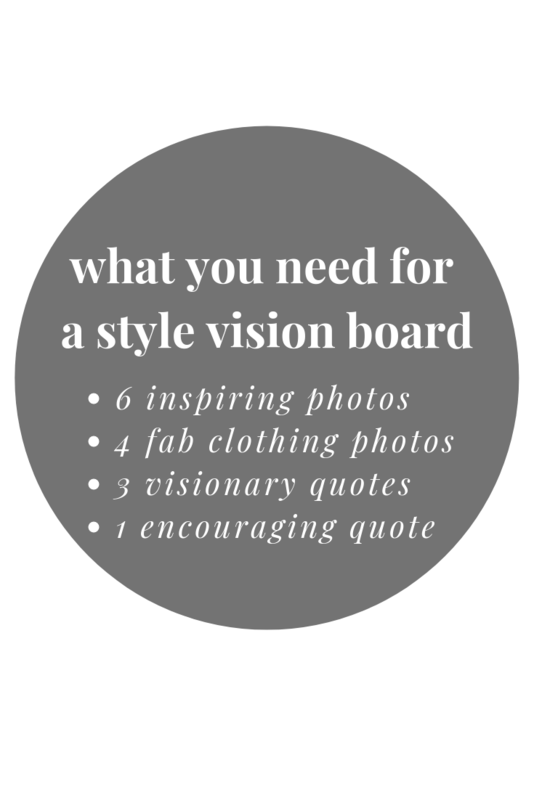 And a style vision board that takes all your ideas and sorts them into a clear strategy. The pay off is…confidence and a sense of purpose. And the ripple effect…you role model and encourage others to do the same!! Choose to express more creativity, more influence, more openness, more adventure, more joy or rebellion. We can’t control our circumstances but certainly our response to them! To be perceived as an expert in your profession. Or exude more sparkle and champagne. It is an exciting experience to watch how your inspiration photos tap into your subconscious dreams and desires. There is something more you want to express. 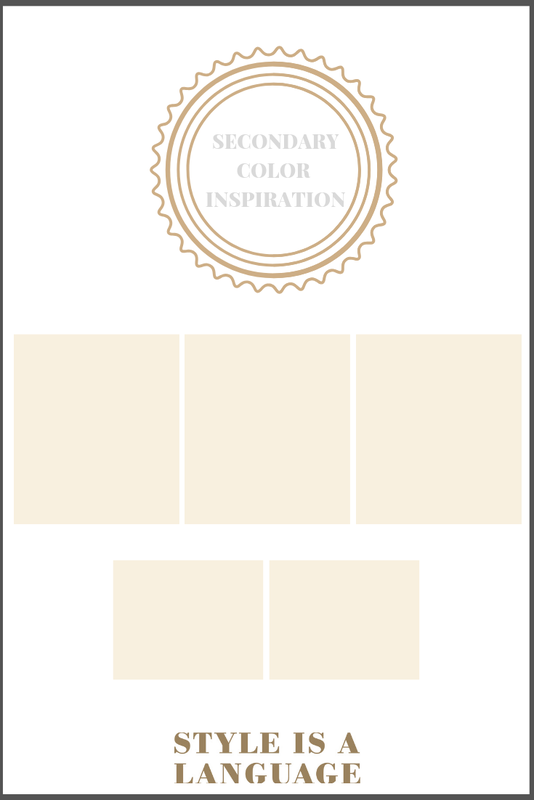 Your visionboard gives you the space and the freedom to sort though all your ideas. 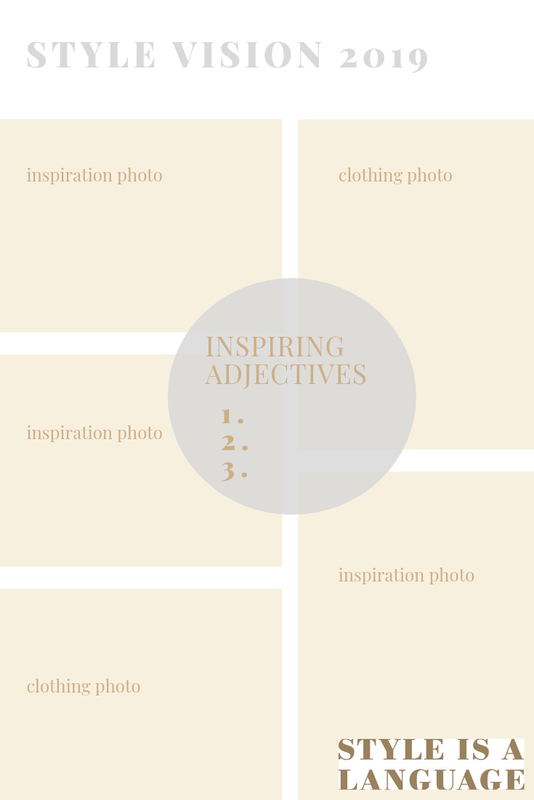 Then radically narrow down your inspiration photos to ten essential pics. This process of elimination connects the dots and leads to clear strategy. Vision boards are about putting dreams to paper and setting a direction that thrills you. They are not yet a wardrobe plan. So allow yourself the freedom to let your heart sing with your choices. Wishing you an wonderful start to 2019. And an exciting style journey over the next 365 days. And if you need support don’t. hesitate to get in touch!